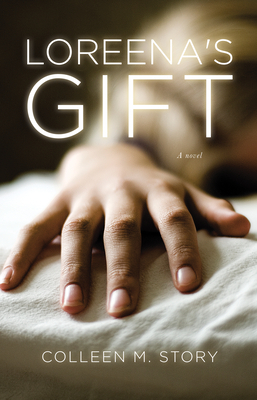 A blind girl's terrifying "gift" allows her to regain her eyesight-- but only as she ferries the recently deceased into the afterlife. Torn between doing her uncle's bidding and the allure of the fleeting moments when her eyesight returns on the journey to the other side, Loreena cooperates with her uncle until her troubled older brother returns to town. When she reveals her power by saving him from a local drug dealer, she is drawn into a sinister and dangerous world that will test the true nature of her talent and force her to consider how far she is willing to go. Colleen M. Story is a longtime freelance writer, editor, and ghostwriter, and author of Rise of the Sidenah, a 2015 North American Book Awards winner. Her short stories and poems have been published in Chicken Soup for the Expectant Mother's Soul, Country Extra, Nostalgia, and more. Her health articles have appeared in online and print magazines like Women's Health, Healthline, Renegade Health, and 4Health, and she maintains a robust inspirational blog for creatives at Writing and Wellness. She lives in Idaho.